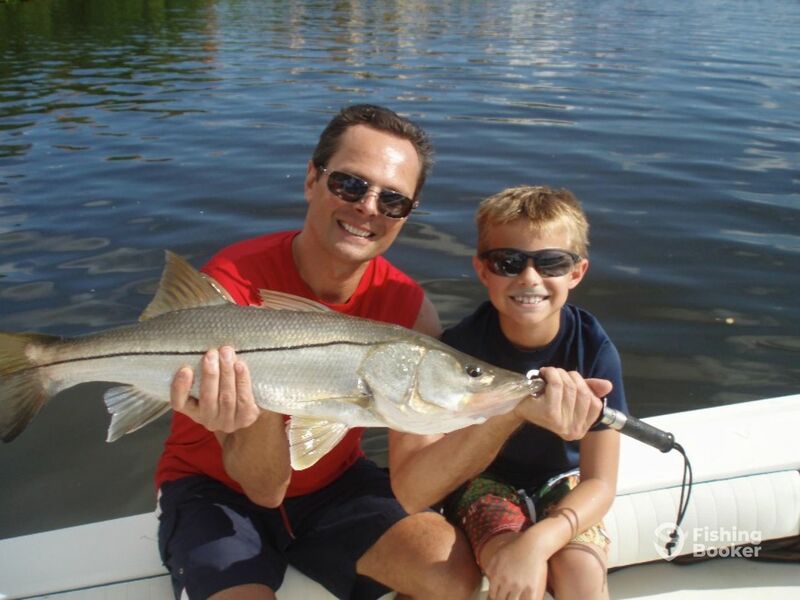 Tampa Bay is one of the most popular fishing destinations in Florida, with good reason. 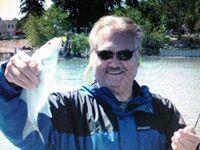 Let Captain Mark Newton combine his premier experience with this bountiful locale for a memorable fishing experience. Capt. 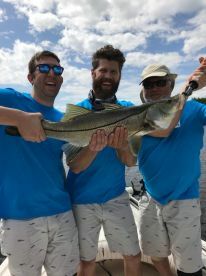 Mark Newton has been a United States Coast Guard-licensed and insured captain since 1990, providing inshore fishing trips in the Tampa Bay area. 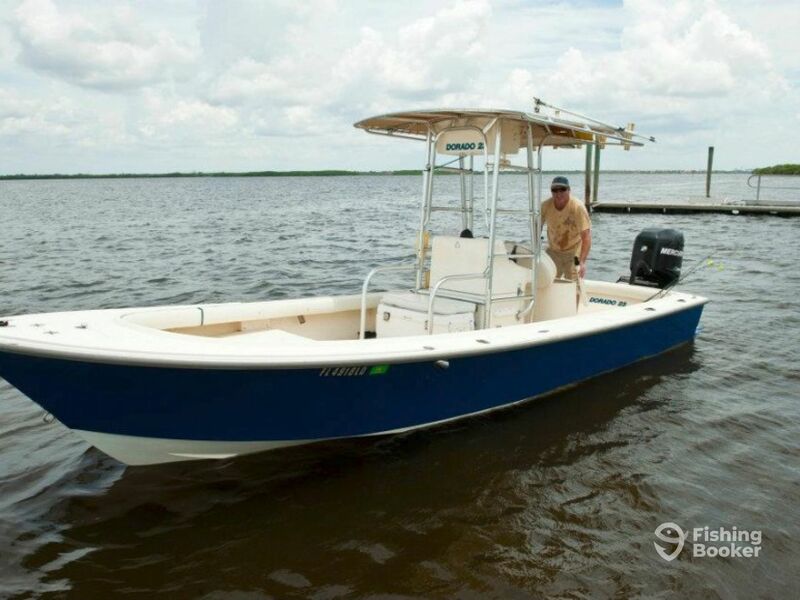 He operates a 23’ Dorado with a T-top, powered by a single 225HP Mercury engine. 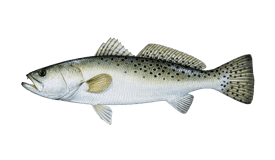 The vessel is outfitted with a conventional selection of navigational electronics as well as fish finding equipment, including GPS, Fishfinder, radio, as well as a multimedia system on board for your enjoyment. 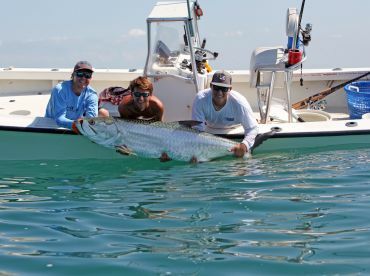 It can comfortably accommodate parties between one and six fishermen per trip. 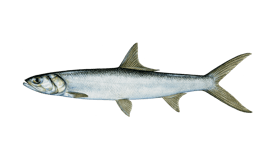 Captain Mark offers a no-fish-no-pay guarantee and supplies everything that you’ll need to catch fish on your trip. 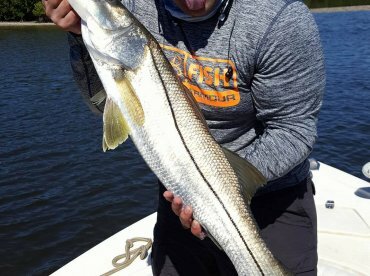 Mark targets a variety of West Florida inshore game fish, including the notorious Snook, Redfish, Sea Trout, Mackerel and many more cruising the area depending on the season. Depending on how much time you have on your hands, the number of species you’d like to target and the variety of fishing spots you’d like to cover, there are 4, 6 and 8-hour trips made available for your consideration. 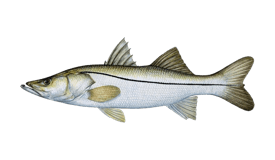 All fishing equipment will be provided by Captain Newton, complete with live bait. 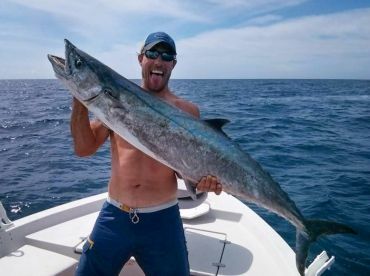 Guests of his 23’ Dorado are free to keep the fish they catch, as long as they don’t violate any of the guidelines regarding bag limits and catch size put forward by the state of Florida. 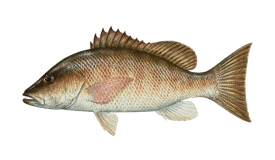 Following your fishing trip, Mark is happy to offer a complimentary cleaning and bagging of your daily catch. Soft drinks and bottled water also made available for your enjoyment. Experience the Tampa Bay the right way. 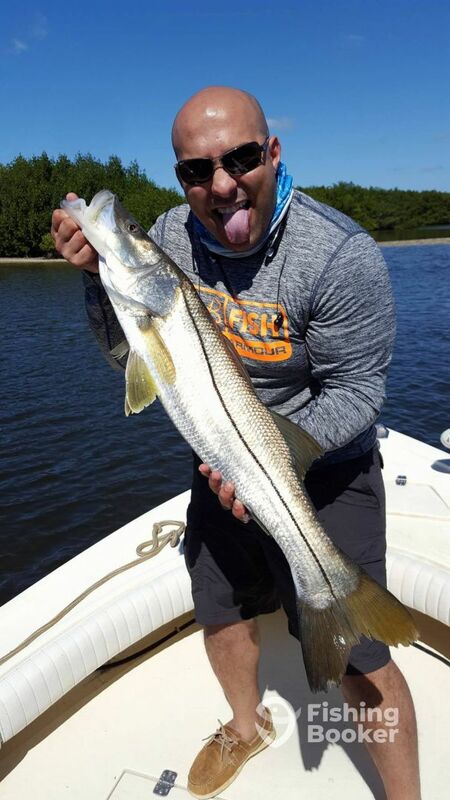 Book a trip with Fun Flats Fishing and cast off on a true Floridian fishing adventure! 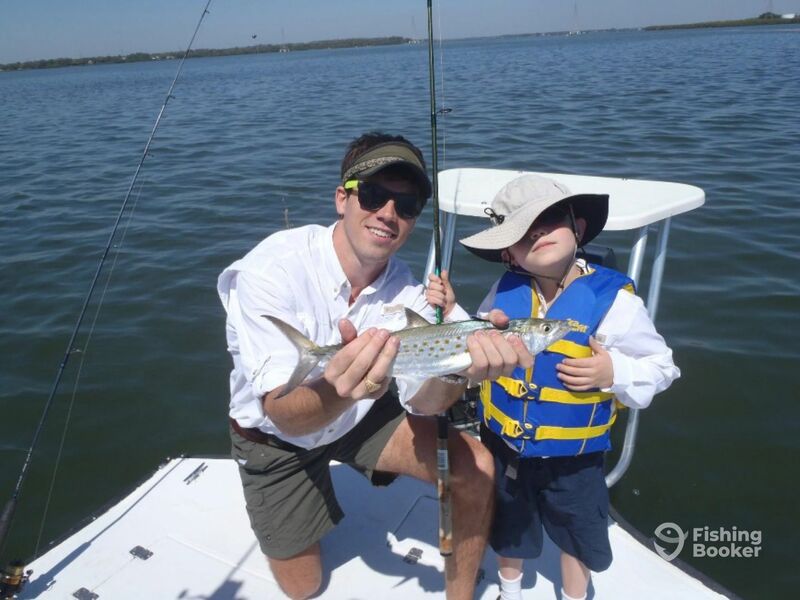 Enjoy everything that the Tampa Bay has to offer on this 8-hour trip! 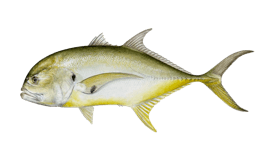 You can pick and choose from targeting Cobia, Jack Crevalle, Redfish, Ladyfish, Snook, and other species. This trip strikes the perfect balance between a full day trip and a half day one. 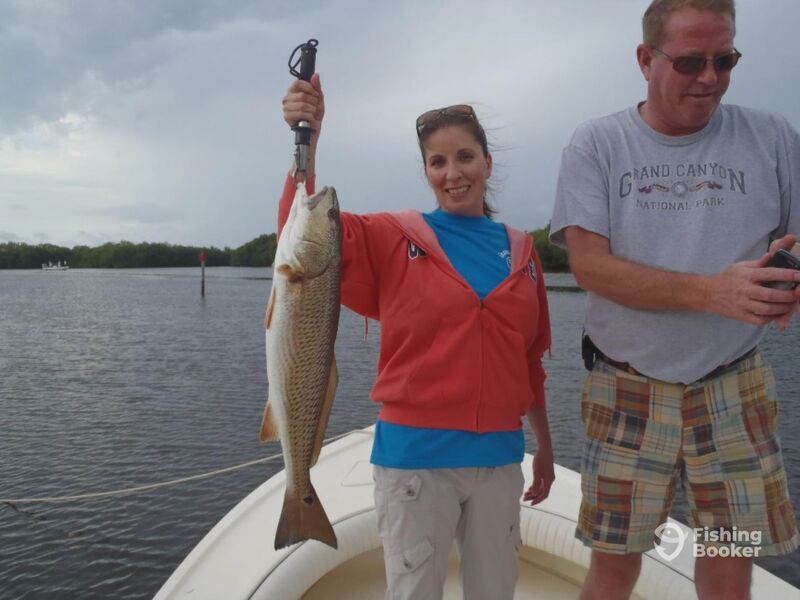 You'll have plenty of time to hook up Redfish, Spotted Seatrout, Jack Crevalle, Mangrove Snapper, and whatever else takes the bait. Hit the waters of the Tampa Bay before the morning boat traffic picks up! 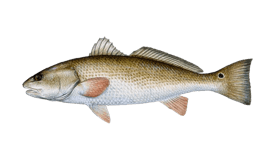 You can target Redfish, Snook, Spotted Seatrout, Jack Crevalle, and other species on this 4-hour trip. 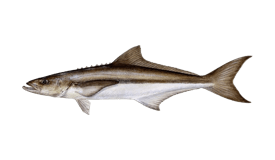 Dorado (Saltwater fishing) построена в 2001, обновлена в 2016. Мотор – 225HP 2016 Mercury мотор, максимальная крейсерная скорость – 35 узлов.